As the largest element in most guestrooms, it is the natural focal point; so good design often begins where the guest’s day ends, the bed. Interior designers specializing in hospitality predict some current trends will continue to hold strong while other new and exciting elements will gain traction. Comfortable bedding has become the iconic symbol and focal point of a hotel’s hospitality, immediately communicating something about the hotel brand identity and what the customer can expect about the standards of the establishment. It tells guests that the hotel has gone to great lengths to ensure that their stay is memorable. One way you know you’ve done it right is when guests want to purchase the very sheets that they’ve slept in on the bed, you’ve given them such a wonderful experience that they want to duplicate it at home. Hotels are now thinking of the bed as an entire idea and luxurious experience. White is still the go-to color for many hotel bed linens. However, many properties are using more color when adding accents to the bed with throws or pillows. Rumor has it, printed embellishments will become more prominent and allow brands and companies the opportunity to create custom prints at an affordable price. Manufacturers are doing graphic prints on textiles for throw pillows or bed scarves, it’s even been done for the top sheet. Predictions suggest that large architectural graphics and custom patterns will become more accessible and commonly used. It is also suggested that while bedding will stay white across all segments, more jacquards (intricate patterns in fabric), including the hotel’s logo or even custom, brand-specific designs, will be incorporated for texture and subtle pattern, especially in top sheets, shams and duvet covers. 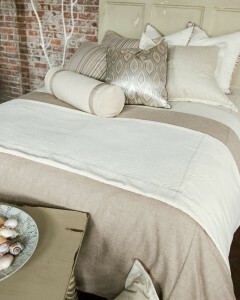 So the white bedding is here to stay, but it will have texture or graphics. Some designers and manufacturers will replace color on the bed with texture. The trend has moved toward using different textures and combining different scales as a pattern. It’s chic and it’s practical. Designers will take advantage of the advancements in durability that make more textures practical. For hotels that want to sell a pure, clean image, white bedding is the way to go as it reflects cleanliness and crispness. Sometimes there will be two-line embroidery in an accent or coordinating color. White shows stains and can be more difficult to care for, but when you see an all clean and white bed it gives the perception a sanitary and stable environment. While guests and hotel operators will continue to favor white sheets for their undertones of luxury and cleanliness, color will continue to find its way to the bed in the form of accessories, stitching and hems. Essentially, things will stay neutral with bold pops of color. Down the road, influences from some of the luxury Middle East hotels may find their way stateside. There, designers are installing audacious accent palettes of bright reds and greens that verge into neon territories. 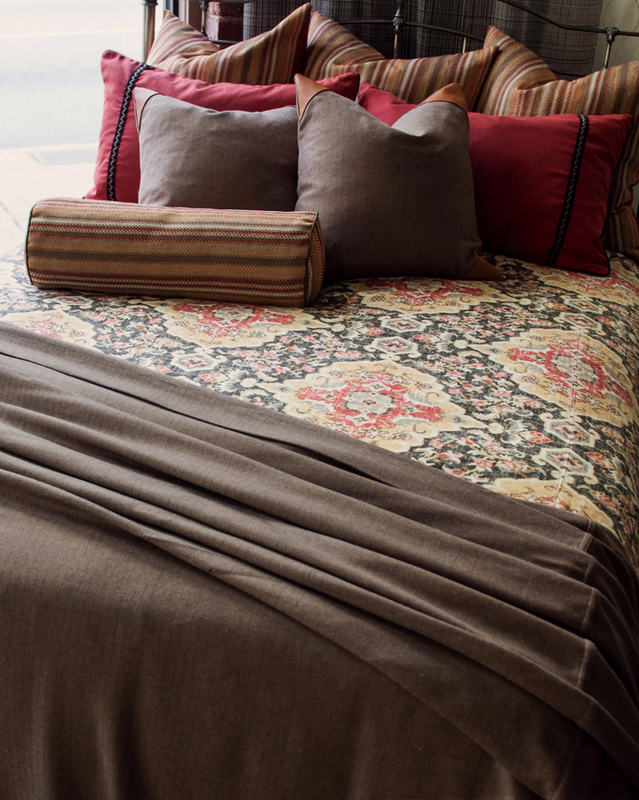 A truly comfortable bed linen speaks luxury to the guest. When today’s travelers climb into bed, they expect a clean, luxurious and relaxed experience that would create a memorable and personal stay. The hotel business is probably the most personal experience you can give someone. With so many choices in hotels; comfort, luxury and the experience are important to make the guest return again and again. At Thief River Linen we are committed to utilizing quality fabrics and offer outstanding customer service for retail, interior design, and hospitality industries. We are able to accommodate customization orders and have a wide variety of fabric designs, colors and textures. We would love to work with you on your next project. Contact us at (336) 474-8014 or 800-569-8105 for your fabric needs.